We’re often asked about classes and in-depth tutorials that guide from the conception to the completion. While we happily support panels and workshops, those are limited: if you aren’t in an area where workshops take place, you don’t have a lot of other options. That’s why we’re happy to share that Instructables new paid premium content, called Classes, features a fantastic series of lessons on building your own Superhero costume from concept to finished product – including fantastic lessons on Foam, Worbla and Paint along the way! And for the next month several classes are being offered for free! The Superhero Class, by Mikaela Holmes, covers the entire Superhero process. Lessons 1-3 cover creating your own superhero, as well as patterning and building a spandex bodysuit. 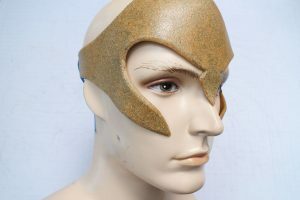 Lesson 5 is a complete introduction to Worbla, including different patterning and shaping methods and the creation of a Worbla helmet. 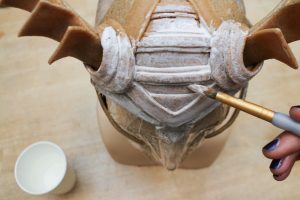 Lesson 6 is a through guide to priming both EVA foam and Worbla, and a fantastic primer on paints and finishes. Lesson 7 brings everything together as one full piece. Lessons 5 is one of the most complete I have seen for working with Worbla, with clear photos, video, and step-by-step instructions the whole way. Lesson 6 is likewise a fantastic breakdown on both priming but also paints and pigments – and lesson 4 is especially handy if you will be working with foam as well! If you’ve been searching for a complete guide in one place, I highly suggest you check the class out. Below are excerpts from the Superheroes Class. If you want to see for yourself, check it out here! 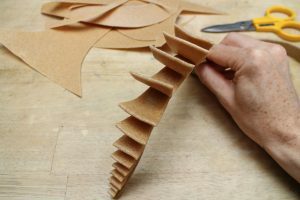 In this lesson we’ll talk about the different kinds of Worbla, then I show you how to use it to build costume pieces by combining it with foam, heating, and sculpting. So we’ve constructed the form of our costume accessories, now we have to define their identities with color! Before we get to the painting part we have to make sure the surfaces of our pieces are prepared, which can be a fairly time consuming process. 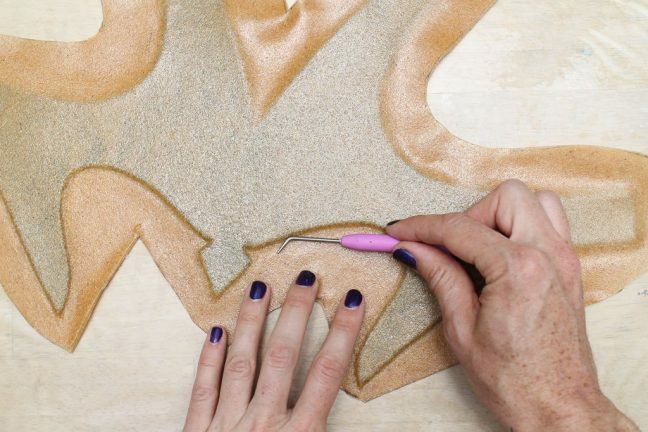 The process of finishing Worbla is a crucial step that will define the look of your pieces. 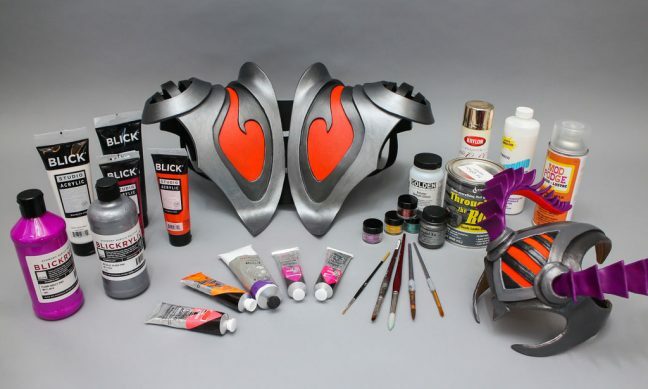 If you want to create something that looks like a very realistic piece of armor, or some other specific material, finishing can really make or break the look of your costume. I am a bit impatient, and more interested in creating interesting original designs than trying to emulate something that already exists, so I usually don’t spend an immense amount of time on finishing techniques. 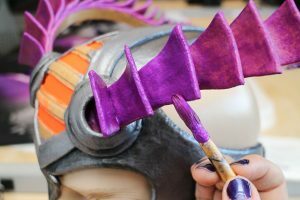 In this lesson I’ll introduce you to some of the most common ways to finish Worbla, then show you some of my favorite materials and techniques for painting. 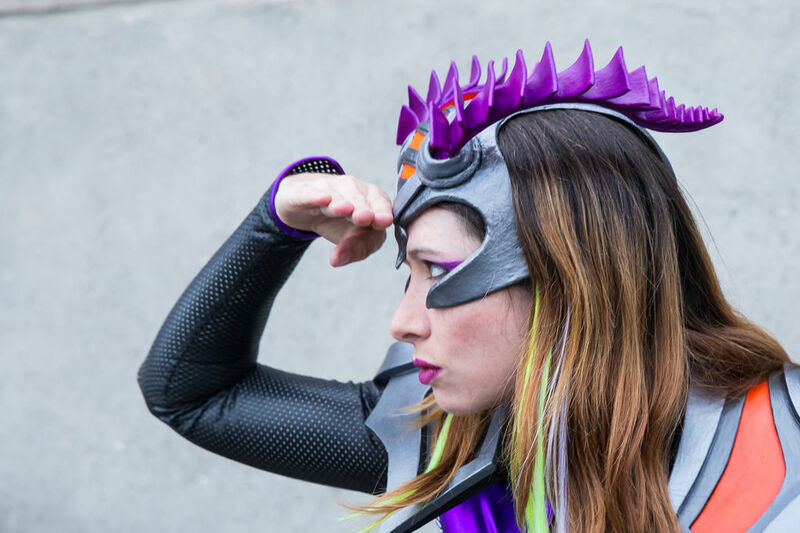 To see and learn more, check out the Superhero Class here!